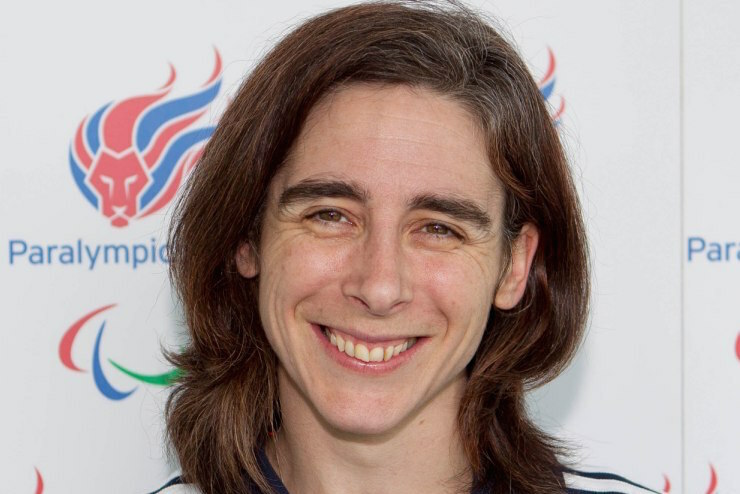 Team GB captain Claire Harvey on being an out and proud gay athlete. I’m writing this blog from the Sitting Volleyball World Championships, so it’s a great place to be able to reflect on both my journey as an openly gay athlete and the power of sport to bring people together. As well as a hard and serious competition (this is the first Rio qualifier for Sitting Volleyball) where every player wants to perform at their best and out-perform their opponent, this is a place where we meet our friends from across the world and share our love of volleyball. It doesn’t matter that often we can’t communicate in words, or even know each other’s names: it’s always great to see other teams again, smile and sit side-by-side watching games and somehow share a common discussion about the game through smiles, nods and hand gestures. During this competition I decided to make a quiet statement: when playing Russia I wore a rainbow sock over my GB uniform (I’m allowed to cover my paralysed leg). When here, it’s easy to forget the issues and friction others face. All the teams know I am gay; I have many of them as friends on Facebook. Some who speak English have asked me questions, shared their perceptions and allowed me to break down fears with positive experience and understanding, and I know that has changed their views of gay people, at least. Difference is irrelevant here: I am a player and so are they, and that commonality overrides anything else. Here the Russians hold my hands and dance to the music; the Russians and Ukrainians celebrate together; the Iranians and Iraqis train together. If only we could take that spirit outside of this bubble. But perhaps that’s the point: sport can be a bubble that doesn’t care about politics or labels. So, as we look to the Commonwealth Games in Glasgow, let’s resolve to use that opportunity to work to unite a society, a country, the LGBT community (because let’s face it: we need unity) and the world, for just that moment. It’s a moment in time to seize, so use Pride House Glasgow to make global friends, bring people into the House to celebrate our shared love of sport and let them see the LGBT community is just as normal as they are. We all have busy lives, but it’s vitally important we support Pride House, even just once. As I prepare for our last game of the competition I have in my head two things: firstly, if I hadn’t been able to be openly gay and supported as such, I would never be about to put my GB shirt on and wear it with pride. I feel both lucky and grateful for that. Secondly, I reflect on how important playing your role, however small, is in any team because the whole is greater than the sum of its parts. We, the LGBT community, are a team, and as we say in my team, ‘We can make progress or we can make excuses, but we can’t do both!’ Let’s not make excuses. See you in Pride House. Written by Claire Harvey on 26th June 2014. Claire Harvey captained Team GB in the Women’s Sitting Volleyball at the London 2012 Paralympics, and has just competed at the World Championships in Poland. We are delighted to have Claire as a patron for Pride House Glasgow this summer and look forward to her joining us in our opening debate event on 23rd July.